In 1982, the Target Store company had a failing Entertainment Division. Target had taken the bold step of setting itself for a direct buying relationship with it’s entertainment software vendors (music, movies) for the advantage of more margin. In fear of the business they would lose, the music rack jobbers and distributors placed enormous pressure on the major music labels to position a pricing grid for the different functions of music retailing which would eliminate Target’s direct buying cost advantages. The goal buy the rack jobbers was to discourage Target from its quest for autonomy and the elimination of the “middle man”. My services were acquired as eventually Director of marketing and Operations for the entertainment division in January 1983. 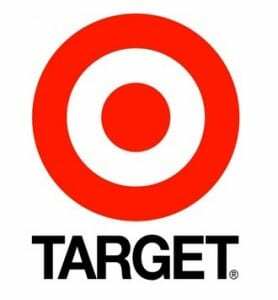 At the time the division serviced Target’s 300+ stores doing about $150 million in divisional sales. The potential of losing 6-7% of those gross sales, due to the pricing grids requested from the record labels by the rack jobbers and distributors, was a major issue for Target. Without those margin points, Target may very well have scrapped it’s in-house distribution division. My first objective was to convince Target senior management that they could not simply throw their purchasing weight around as they could with so many other vendors. One look at the music trade sheets and you could see that CBS Records (now Sony Music) held about a 40% share of the most current hits. Telling CBS that we would not buy Michael Jackson’s album, Thriller, anymore would have been folly. We needed the labels more than they needed us! My second objective was to meet with all of the label heads and establish a true identity for Target’s business and what the future business with Target could mean to the them. It took 3-4 months of negotiations and convincing the labels that it was truly in their best interests to give us the same pricing that the middle man was given. I gave many presentations to the record company presidents that included Target’s merchandising prowess and its advertising and marketing attack on everything including music. In May of 1983 CBS Records and all other labels agreed to the pricing we needed and from that point on our division produced more than $40 million in profits above Target’s prior 5 year history of the division. With respects to humility, I’ve had many success stories for my 47 years of retailing from fortune 500 companies to a single owner/operator video and tanning outlet in Rice lake Wisconsin. That store, Video Plus and Celebrity Tan, was badly in need of a makeover in 2006. For the last 2 years we have guided their marketing and general operational approach. Their business is up more than 40% from their 2006 numbers and they’re now highly profitable. The ability to redirect a company’s strategy and attitudes is the rare gift of combining operational responsibility background, Human Resources involvements and marketing savvy with keen common sense and excellent communications skills. This has given me a heightened instinct in determining a client’s real issues and their solutions. More than 4 decades of retail store management and marketing experience provides your company with a teacher, leader and developer of profitable solutions.